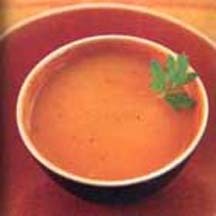 CooksRecipes has quality, kitchen-tested recipes for diabetic-friendly soups and chili that you can count on for accuracy and deliciousness. 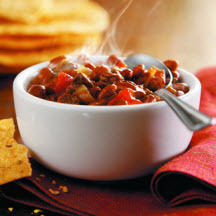 A slow cooker recipe for a hot, comforting chili packed with beef, beans and spicy flavors. 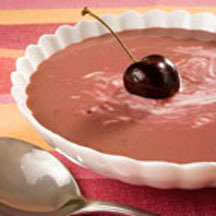 Serve this sweet soup as a starter or as a light dessert. Unsweetened apple cider adds body and a natural hint of sweetness to this thick and flavorful soup.